This error “Schedulable class has jobs pending or in progress” might occur when saving the class after editing it. This could be due to the reason that there are scheduled jobs related to the class that we are trying to edit or its dependent classes. To resolve the issue, we can abort the jobs manually from Setup->Jobs->Scheduled Jobs. P.S. I had got this error recently in Sandbox for one of the class after I modify it, though its dependent class is scheduled and after deleting the corresponding jobs in Setup->Jobs->Scheduled Jobs, I could save the class successfully. Please note that UserRole and Profile are lookup fields in User object. As of Summer’15 release, APEX Data Loader for Mac OS X is available. It is available in Enterprise, Professional, Performance, Unlimited, and Developer Editions. APEX Data Loader is an easy-to-use graphical tool that helps you to import, export, update, and delete Salesforce data. To download the Mac version, click on Setup->Data Management->Data Loader in your Salesforce Org. Salesforce recommends the uninstall of LexiLoader or any similar tool which you might have been using, before installing the Data loader. P.S: There is an another useful Data loader tool available which is Dataloader.io and I love it due to ease of use, task history and other features(including scheduled tasks). Salesforce has 2 versions of Id, 15 and 18 characters. Originally, all Salesforce IDs were 15-characters and case-sensitive whereas 18 character Id is case insensitive. Suppose, we are exporting report data from salesforce onto excel and using the Excel VLOOKUP function to match up records. Since VLOOKUP doesn’t handle case-sensitive data well, we would have to convert 15 character Salesforce Id to 18 character Id. 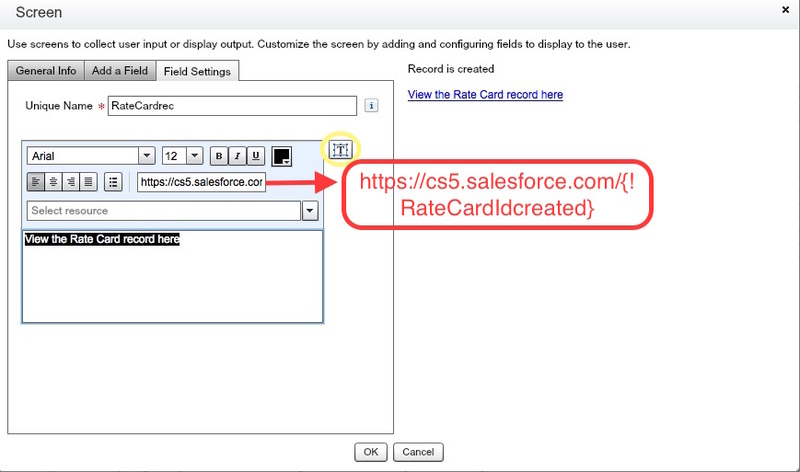 As part of Spring ’12 release, Salesforce introduced a new formula function CASESAFEID, which accepts a 15-character ID as a parameter and returns the 18-character version. For instance, CASESAFEID(Id). Also, I use the link https://www.adminbooster.com/tool/15to18 to convert 15 character Id to 18 character Id instantly. To demonstrate the case, let’s say that we have a custom object called “RateCard” and it has got a lookup field “Account”. We want to convert the lookup relationship to Master – detail, as we can have more than 1 Rate Card per account(1:M relationship). I tried changing the lookup to Master Detail for the account field and got the error “cannot create a new Master-Detail relationship”. This is due to the reason that the lookup field(Account) in all RateCard records did not have a value. Once I populated the value for Account field in the records that didn’t have it, I could convert the Account relationship to Master – Detail. Please note that Master – Detail relationship requires Detail Record (Child) ALWAYS have a Master (Parent) record since the detail record inherits security and ownership from the parent record. For example, there is a flow which gets inputs from user and creates a RateCard(Custom object) record, if it doesn’t exist in the system. Once created, it should show the URL(clickable) of the record created. P.S: RateCardIdcreated holds the Id of the RateCard record created. a. Annotate the test class with @isTest(SeeAllData=true). b. Use getStandardPricebookId() method of Test Class as given below. Id pricebookId = Test.getStandardPricebookId();// This is available irrespective of the state of SeeAllData. Imagine we have a test class which creates a record in Custom object and once the record is saved, flow is called which creates Pricebook/Product/Pricebook entry records. In this case, we would have to go with annotating the test class with SeeAllData=true as we do not need to pass Standard Pricebook Id instead it is queried inside the flow, but it will be visible only with SeeAllData=true. Enjoy writing good apex code! It is possible to call a flow from APEX class since Summer’14 release with the help of Flow.Interview class. Here is an example below. Flow.Interview.Update_RateCard_after_Opty_Creation RFlow = new Flow.Interview.Update_RateCard_after_Opty_Creation(params);//Calling the flow “Update_RateCard_after_Opty_Creation” which is active in Salesforce. There may be instances where we need to use NOT LIKE in SOQL(I got to use it recently in my project) and using it in SOQL is little more counter intuitive unlike LIKE.